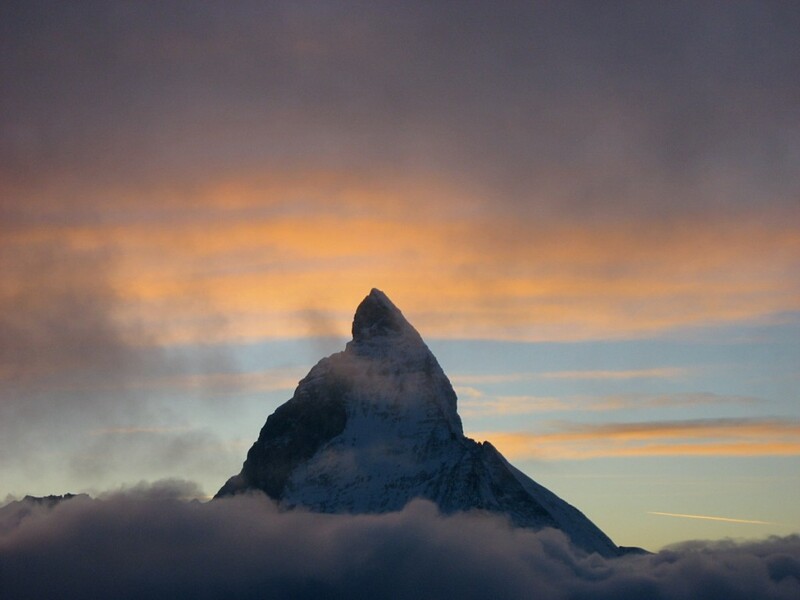 Many people will know that Zermatt is open all year for skiers and snowboarders. 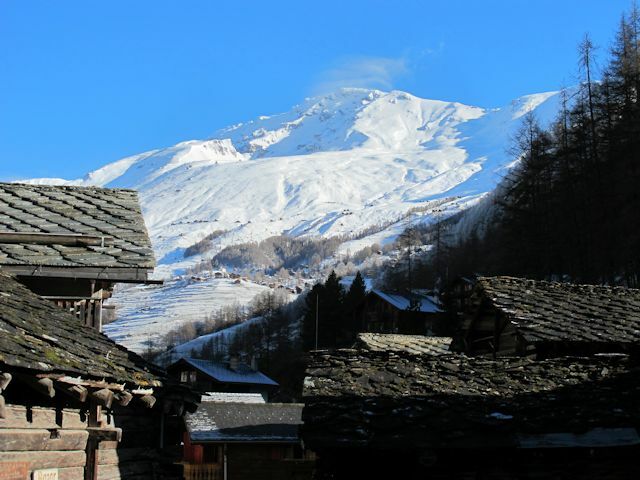 Admittedly the summer slopes are a fraction of that available in winter, and after lunch they are pretty heavy – but the lifts open early and the setting is unrivalled. As an alternative, keen winter sports enthusiasts in the Northern Hemisphere can jet down to Chile or New Zealand to enjoy good snow conditions in the Southern Hemisphere’s winter season. However, since 2005 it has been possible to take a plane to the world’s most popular airport, Dubai, and enjoy the all-year 400 metre long slope, the longest in the world. I’m not a great fan of artificial slopes, but beggars can’t be choosers and if you want to practice technique ahead of an annual ski trip, try out some new equipment or find out if the sport appeals, they serve a useful purpose. The regular ski season is also relatively short and I must admit to having used them just out of missing the real thing. The fake snow, mock Alpine bars and the sight of people dressed in their winter finery in the middle of summer does have a certain appeal. However the runs are just too short, and even 400 metres is not so impressive. Dubai has temperatures that reach 45 degrees Centigrade, but is renowned for whacky projects on a gargantuan scale. Well, hear this. The emirate has announced it will build the world’s largest indoor ski resort, with a 1.2 kilometre run. That would make a pretty respectable run in any resort. 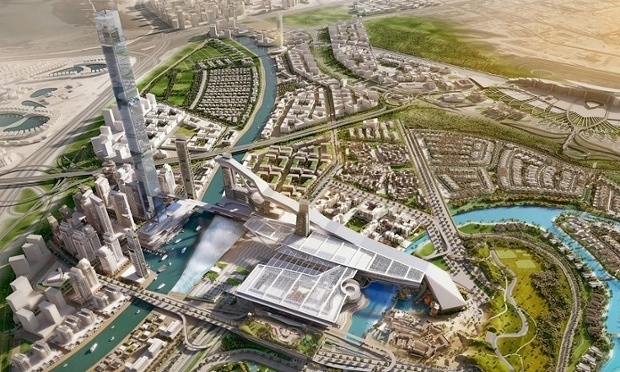 Part of a development dubbed Meydan One, the all-year ski run will be alongside what will be the world’s tallest residential tower, a huge fountain, a massive shopping centre, a 350-room hotel and a marina. But don’t book your plane ticket just yet. The first phase of the seven billion dollar development won’t be completed until 2020. Anna Fenninger is not only one of the best skiers in the world, but is also a big fan of Harley Davidson motorbikes. However it is vehicles of four wheels that have recently got her into a fix. The FIS circuit is sponsored by Bavarian-based Audi and the national ski associations are keen that skiers do not promote brands that rival ones they are associated with. 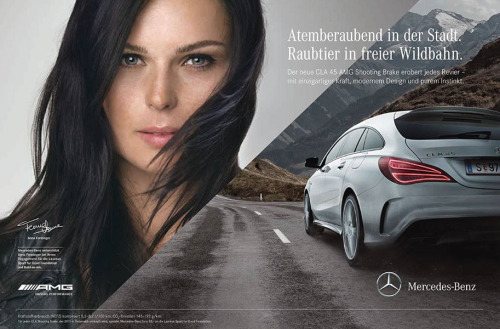 When Fenninger appeared in an ad for Mercedes, there were questions raised as to whether she should be expelled from the Austrian ski federation for breaching their rules. It adds to long simmering disputes between Fenninger and the Austrian ski federation on a number of issues, which many people blame on her German manager, Klaus Kaercher. However, Mercedes has withdrawn the ad and Fenninger has agreed not to breach the rules in future, so no sanctions will be taken against her – although her manager has become persona non grata. Fenninger has won eight medals in Olympics and world championships – four of them gold – and has been overall FIS champion for the past two years. I often get a news flash from somewhere in India or Saudi Arabia or Elephant Butte, New Mexico, telling me about something going on in the world of skiing. It is my fault, of course. I subscribe to the news feeds in the first place. However, it is not only the incongruity of these places having a keen interest in Switzerland and Winter Sports resorts that I find fascinating, but also how misleading the headlines sometimes are. Dogs are not banned in Switzerland. I made that up. But it is sort of true, if the press release I am looking at is true. The favoured headline associated with the underlying story is actually “Swiss ski resort bans selfies with iconic Saint Bernards”, and the story is a rash running right across the world this weekend. There are over 4500 Google references to the phrase, and most sources that have published the story seem to like the headline in all its bizarre, naked glory. Newspapers running the story, and there are hundreds, have on the whole published the press release without any changes. Not surprisingly, the agency that originated the story is AFP, a French outfit that often comes up with outlandish press releases. One I researched a few months ago on this blog was headlined with something that was, quite frankly, poo. Untrue. And the truth in this case is no more that dogs are banned in Switzerland, than that you can’t take selfies with St Bernards. You can, just in case you were considering cancelling your next trip to Switzerland out of concern you would miss out on an iconic selfie. And the story is nothing to do with selfies at all, the word just seems to garner clickbait. Or it now means any photograph with a person or a dog in it. Switzerland is keen on the prevention of cruelty to animals. The more lurid presentation of this in the press release is that you are not allowed to kill a goldfish without procedures that are usually reserved for executions in Texas. And budgerigars cannot live in households without another budgerigar of the same sexual orientation. Or some such… perhaps I exaggerate: go google the press release if you want to know. Anyway, it is true that animal rights are more stringently regulated in Switzerland than most countries. 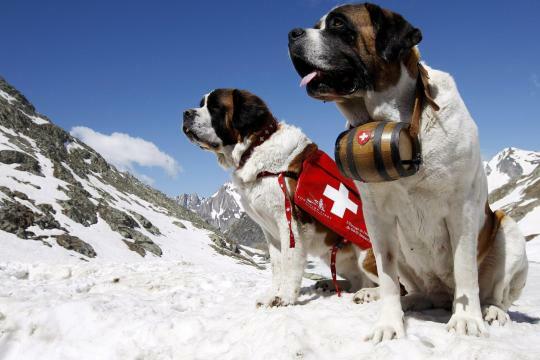 So, to cut to the chase, the real story is that some St Bernard dogs – with whom you can be photographed against a backdrop of Zermatt, on payment of a small fee – are being badly treated. The Swiss animal protection group STS (aka SAP or SPS, depending on the language you speak) has apparently called for the ban, citing examples of dogs not taken for walks, left for long periods without food or water, hanging around in the cold and being kept in miserable conditions. Following a study conducted between 26th January and 4th February this year they have filed a criminal case against the owners of the dogs. At least that is what the organization says at their site, where they have a detailed report in German. Our AFP press release claims that Zermatt Gemeinde “has banned tourists from posing for photos” with the dogs, but I can find nothing about this at the Gemeinde’s web site. However, some German language newspapers report that the mayor of the Gemeinde has agreed with the two local companies that organise the photographs that they will no longer take pictures of St Bernards on council property, and specifically from two popular vantage points of the Matterhorn, with effect next winter – apparently there are some Japanese tourists this summer who are desperate to have their pictures taken with the dogs and he wouldn’t want to let them down. I am sure the mayor is an admirable man and an animal lover. However he has had sustained pressure from people who have felt that the animals were being badly treated, culminating in the latest report. He had hoped the lift company would have banned the dogs going up, or that his local veterinary adviser would have said the practice was inherently causing suffering, but neither gambit worked. I don’t really get why the photographers didn’t smarten up their act, but reports suggest they see it as a storm in a teacup. So it appears there is nothing to stop you having a selfie with a dog of your choice against a backdrop of the Matterhorn, or of someone taking pictures of you getting friendly with a canine in a bar or hotel lobby. Generously, the mayor has suggested that you will still be allowed to take pictures on council property with people dressed as St Bernards (according to Die Welt). Sounds like a job for a ski bum. I’ll be writing my application shortly. Incidentally, Zermatt is still open for business and I hear the snow is still good, with over 120km open over the Matterhorn section through to Cervinia.